Hatchling: 7 - 10 in.. The head is black. The labials are pale colored with wide vertical lines. The overall dorsal coloration is dark brown or black. 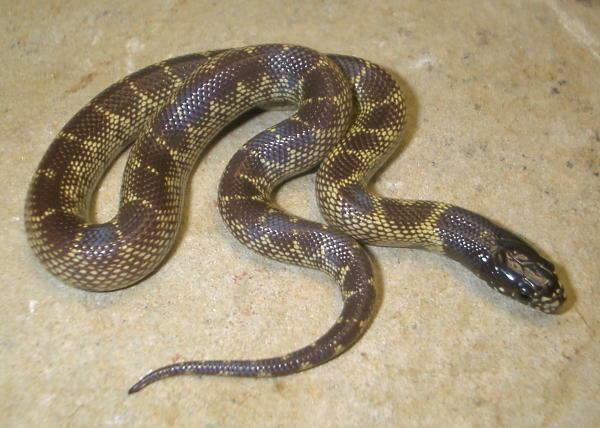 The lateral scales are heavily speckled with yellow. There are 20 to 42 moderately to poorly defined dark rectangular saddles. These saddles are seperated by yellow speckled crosslines, 2 to 3 scales in width. The belly is essentially black. A nocturnal species, usually active only during the late afternoon and evening hours. It is secretive, spending much of its time hiding beneath logs and debris. When encountered in the wild it is a very nervous animal, vibrating its tail rapidly and putting on a valiant defensive display. Recently captured specimens defecate and discharge a foul smelling musk when handled. 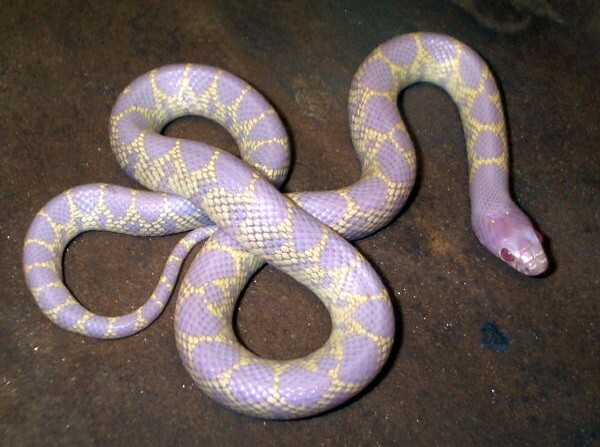 In captivity, most Desert Kingsnakes calm down and do very well. 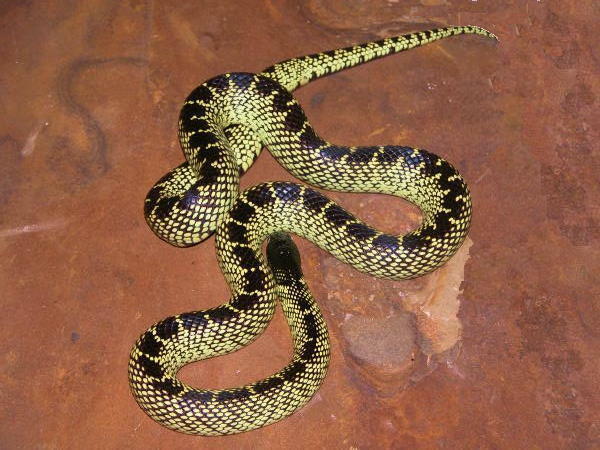 This species was formerly known as the Sonoran Kingsnake. 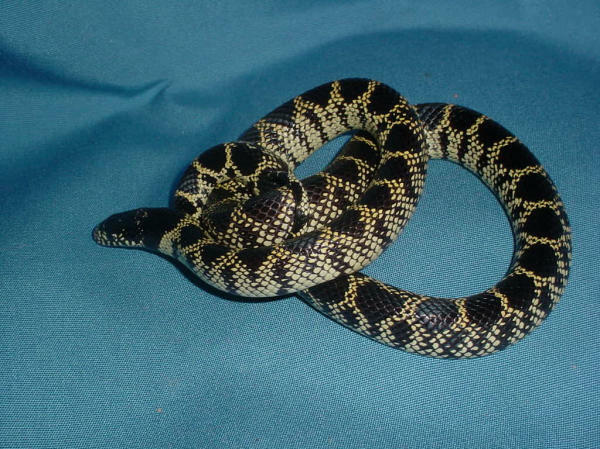 Contrary to what both common names would lead you to believe, this kingsnake is not a true arid land dweller. While it may occasionally be found in arid areas, it is much more abundant in Mesquite covered brush land, generally not far from some source of water. Breeding occurs during April and May. During June and July clutches of 5 to 12 adhesive shelled eggs, each measuring about3/4 x 1 1/2 inches, are laid underground in loose moist soil. Hatching occurs from late August through early October. Central and south Texas westward, across southern New Meico, to southeastern Arizona, southward to San Luis Potosi and Zacatecas, Mexico. In Mexico it ranges as far west as Sonora. 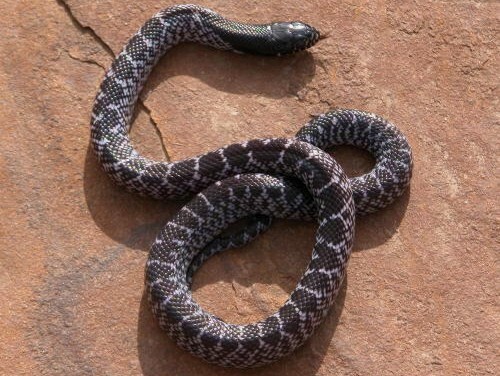 It intergrades with Lampropeltis g. holbrooki in eastern and northern parts of its range and with Lampropeltis g. californiae and Lampropletis g. nigritus in Arizona and Sonora, Mexico. 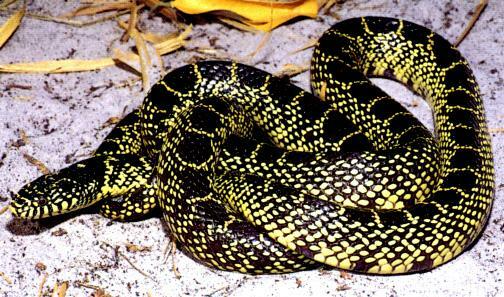 The Desert Kingsnake is a powerful constrictor feeding upon other snakes (including rattlesnakes), lizards, birds and small mammals. On occasions it has also been reported to feed upon frogs. It appears to be immune to the venom of native venomous snakes, upon which it feeds. Conant, R. and J. Collins. 1991. 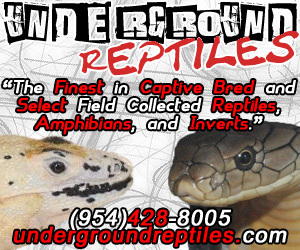 Reptiles and Amphibians of Eastern & Central North America 3rd edition. Houghton Mifflin Co. Boston, MA. Markel, R. G. 1990. 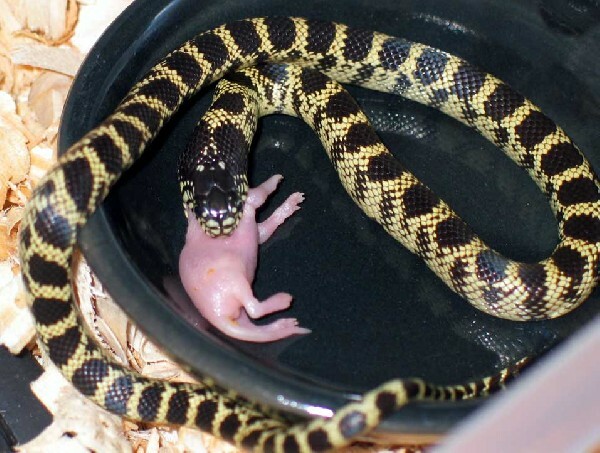 Kingsnakes and Milk Snakes. T.F.H. Publications. Neptune City, NJ. Tennant, A. 1985. A Field Guide to Texas Snakes. Gulf Publishing Co. Houston, Tx. Vermersch, T. G. and R. E. Kuntz. Snakes of South-Central Texas. Eakin Press. Austin, TX.